Tomatoes are in season right now. Whether you grab them from your garden or pick them up at a local produce stand, try this recipe for brunch or dinner this weekend! Place tomatoes in a colander, sprinkle with salt and allow to drain for 10 minutes. 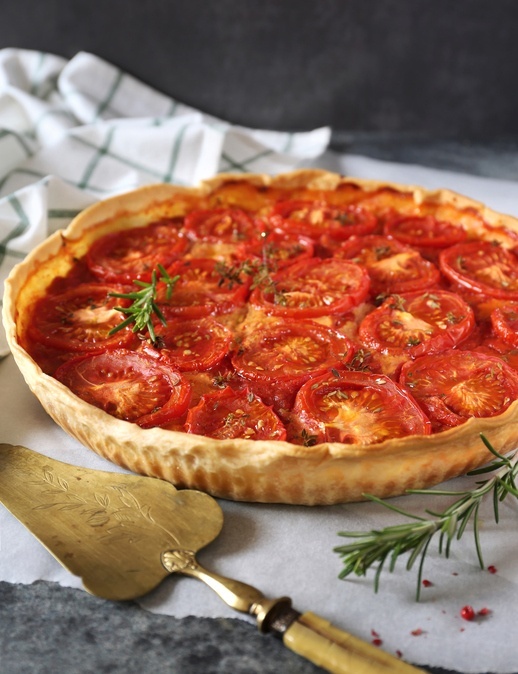 Layer the tomato slices, basil and onion in the pie shell. Season with salt and pepper. In a separate bowl, combine the grated cheeses and mayonnaise together. Spread mixture over the tomatoes, and bake for 30 minutes or until lightly browned. Cut into six slices and serve warm. Lisa Anderson is the Clinical Nutrition Manager at Aramark Healthcare and Chesapeake Regional Healthcare.